grocery stores, museums, craft and gift shops and more all within a 2 minute walk or less. I had lived in Portland for 35 years, In 2013 I biked from Lisbon, Portugal to Istanbul, Turkey. I rode through Slovenia and fell in love, with the country too. I married Natasa and have been here almost 2 years now. Skofja Loka is what Portland wants to be, a low car use-walking town. We live in the old town and are renting the apartment that Natasa’s brother owns, downstairs from us. 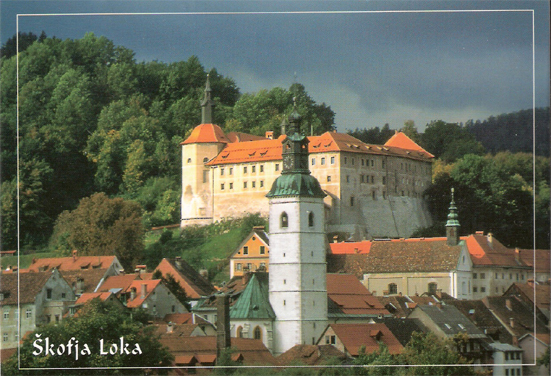 You can visit most of Slovenians highlights in just a one hour drive or a nice bus or train ride. This entry was posted in Uncategorized and tagged AIR B&B, Jeff Bernards, jeffsbiketour, skofja loka, slovenia on October 21, 2015 by jeffsbiketour. Dear Jeff. It’s great that you both join slovenian-american idea and opened nice B&B. I shared your invitation in Fb.